Where does the name Macintosh come from? The naming of the world's most glamorous technology company is surrounded by entertaining legends. One of the most enduring ones is that the Apple was an homage to the great gay computer pioneer, Alan Turing, who famously killed himself with a cyanide-laced apple in 1954. How did Apple become Apple Macintosh? 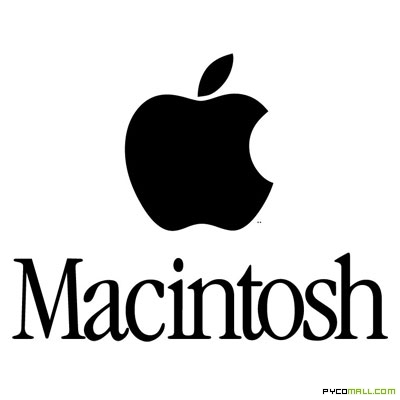 The word Macintosh was added to the company logo in 1976 for unromantic reasons. It was essentially a hasty defence against the notoriously litigious claims of The Beatles' Apple Corporation. Where did the word Macintosh come from? Many have assumed that it was a homage to Scottish chemist Charles Macintosh (29 Dec 1766 - 25 July 1843) who invented the first waterproof fabrics. Macintosh is certainly an inspirational figure. He began as a clerk but resigned before he was twenty to take up the manufacture of chemicals. His experiments with naptha, a by-product of tar, eventually led to the creation of a waterproof material. 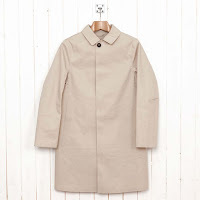 This allowed the production of the first 'Macintosh' rain coats or macs. A role model for Steve Jobs? Steve Jobs would have admired the macintosh as it combined elegance and function. Charles Macintosh the chemist was not, however, the inspiration for the name of his company. Nor was the pioneering artist, architect and artist, Charles Rennie Macintosh (1868-1928) one of the leading figures in the Art Nouveau movement. So why the word Macintosh? It's simply an extension of the apple theme. An apple macintosh is a variety of apple - the favourite of Jobs according to some stories or engineer Jeff Raskin in other accounts.